Mormon Mommy Writers and Friends: Giveaway and a Book Music Video??!! We live in a time where technology allows our creativity and innovation to soar to heights once unimaginable. The same thing goes with not only writing books, but marketing them as well. The authors of today's giveaway were tasked with coming up with a creative way to market their book, "The Mark of Royalty". Their solution? How about a music video? Sarah doesn't know much about where she was born or the circumstances that brought her to another country. In fact she doesn't know that the mark on her shoulder identifies her as the first born and heir to the throne, that she was secreted out of her country as an infant in order to save her life, and that her twin brother took her place. What she does know is that her love of horses and sometimes unladylike behavior has landed her between two men and their fight for their own crown. However, things drastically change when someone discovers Sarah’s mark and knows what it means. 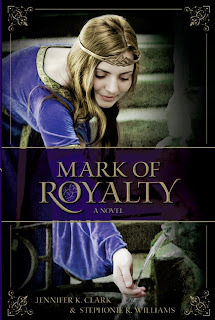 Today's giveaway is the book, "The Mark of Royalty" AND the DVD that includes the music video, the book trailer, and a video about the Friesian stallion that isn't even on youtube! ALL ENTRIES MUST BE MADE BY 11:59 PM MST tonight, January 26, 2012. Winners will be posted tomorrow morning in our Winner's Circle (tab at the top of the blog home page). 5. Follow Jennifer K. Clark or Stephonie K. Williams at one of the below sites and let us know by clearly commenting below. What are you waiting for? Enter NOW!! Wow!! It is such a thrill and a huge honor to see our book posted front and center on Mormon Mommy Writers!!! Thank you so very much for the opportunity! I hope you all enjoy the music video! I am a follower of THIS blog. I "like" MMW on FB. And I am leaving a comment. Are these supposed to be separate comments for each chance to win? I also shared this contest on FB. 1. I would love to win this book!!! 2. I follow the MMW blog! 3. I have "liked" MMW on Facebook!! 4. I have advertised this months giveaway on my Facebook page!! 5. I follow Jennifer's blog! I'm commenting: This sounds like a super novel, and I want the DVD, as well. I would love to win the package!. I'm a follower of MMW on Facebook. My email addy is mw1 AT theriver DOT com. (That's a one after "mw," not an ell). I love all of these awesome giveaways! I am so excited! I am a follower of MMW on Facebook. I follow MMW on Facebook. I am a follower on Stephonie's blog. I am a follower on Jennifer's blog. 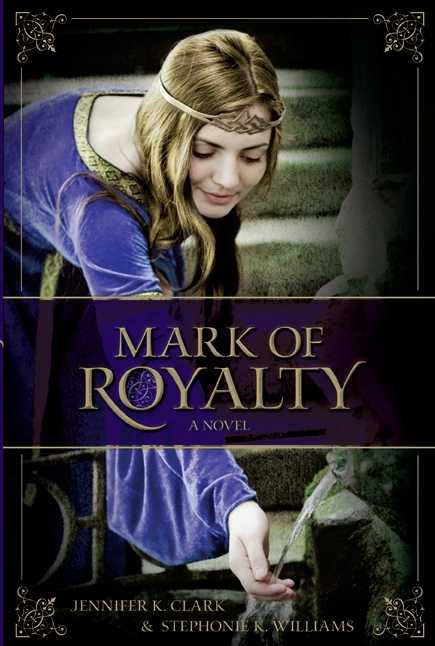 MARK OF ROYALTY looks like a wonderful read. Thank you for this opportunity.